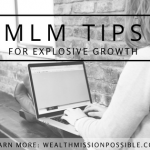 Learning how to be more consistent is a must if you want to build an online marketing business. Consistency is the most significant part of success in Internet marketing and I will help you with that today. You’ve probably read tons of blog posts about having a daily method of operation but somehow you still can’t stick with it. If your blog and YouTube channel are underdeveloped and your social media networks have become a ghost-town, I have 3 critical suggestions for you. What does this have to do with how to be more consistent? Everything! When you know exactly where you are going, the likelihood of success increases tenfold. 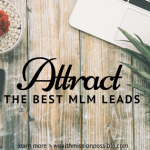 Your vision for your life will help to inspire you to take action in your Internet marketing business and make time, even when you don’t want to. Creating your vision as the foundation will help you move forward, one step at a time towards the life of your dreams. For success in your online marketing business, people need to get to know, like and trust you. If you are not staying the course, you cannot establish yourself as a reputable person. One minute you are there, and the next, you are not. If you get the first two items I mentioned, here’s your shortcut tip on how to be more consistent. Set some bulk time aside and create a bank of blog posts or videos. 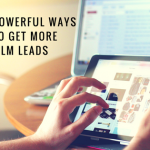 If you always have ten blog posts or videos on-hand, then when something comes up, you can publish those on a regular schedule and still appear consistent in your online marketing business. I recommend that you create and add to your bank, in addition to creating your regular new content each week. I always have multiple blog posts and videos ready to go. When I create new content, I add it to the list! There is no quick fix to getting your consistency under control and I hope that you found these tips to be useful. If you are looking for ways to be more consistent, I have a free report with 23 simple productivity tips that you can use now. CLICK HERE, enter your email and I’ll give you access right away. Great tips, Lisa…especially the setting aside a bunch of time to build up a backlog of posts in case you have things pop up. Thanks! Thanks Adam! I love doing things in bulk. It’s a real time saver and gives me to time to do other things like talking to people. Thank you Lisa, this is great, it’s like you were writing to me! Consistency is key. I know it’s been my biggest challenge. I’ll definitely take your advice about setting time to do things in bulk. I always think of doing it and haven’t. This has made me want to do it. Thanks for your comment Rosa! I did write for you! Consistency is such a challenge for many people. It takes work to stay consistent in anything. Usually things go well for the first week or two and then everything falls apart. Think about how important your business is to you in your life and let that drive you forward! 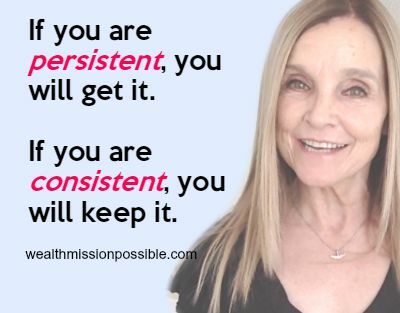 Consistency is definately the most important factor to having success online! Loved these value-packed tips!! Are reputation as a trusted advisor is at stake… no one wants someone that isn’t consistent in both producing content and with your topics… I find people that write about everything and anything don’t feel like experts in any area…. what a great post Lisa… thanks for sharing. Thanks Ron! I appreciate your insights. You are so right… who want to take advice from someone who can’t get it together?